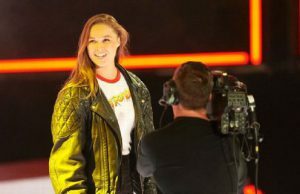 Ronda Rousey hosts Saturday Night Live on January 23, 2016 with musical guest Selena Gomez. During this promo for the show she takes a shot at the WWE! Check it out!